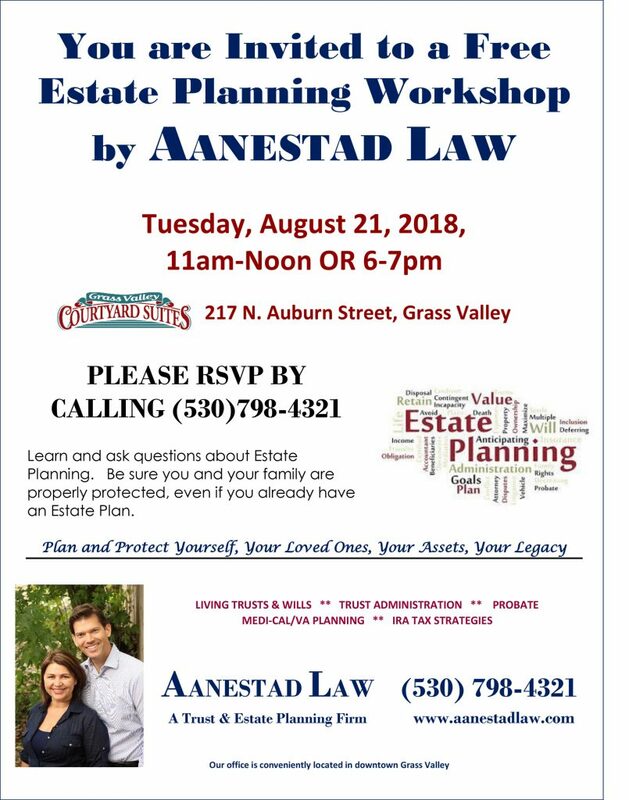 AANESTAD LAW will be holding a FREE Estate Planning Workshop on Tuesday, August 21, 2018 at 11:00am-12noon OR 6:00pm-7:00pm. The workshop will be held at the Grass Valley Courtyard Suites. Anyone is welcome to attend! Please call our office to RSVP (530)798-4321 or visit the website at www.aanestadlaw.com.